The Blood Maze (血液) is a pitch black world with bloody trails, and bone-like objects that are covered in blood and stick out in several parts of the area. This world is a connecting area. 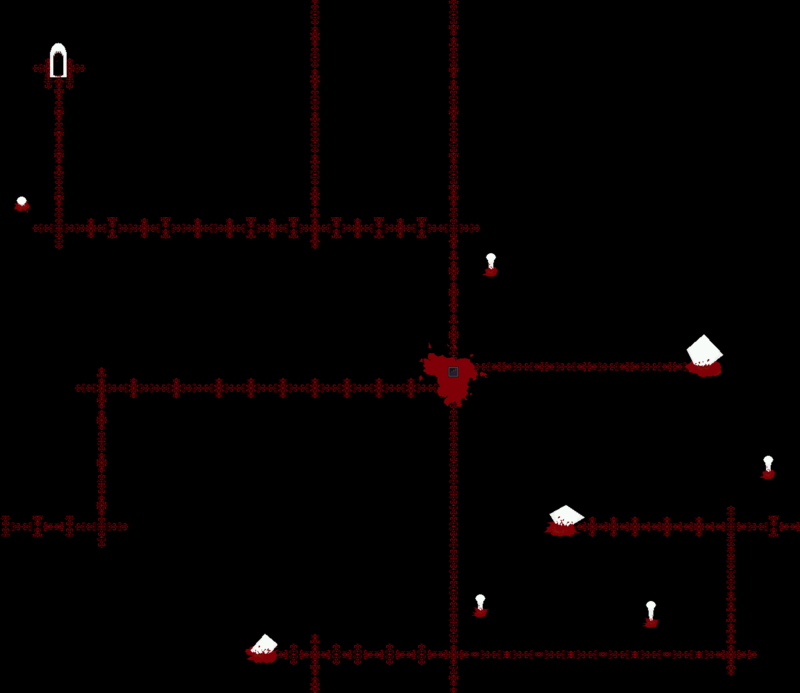 By going downstairs in the big blood puddle, the player will arrive to the White Room. 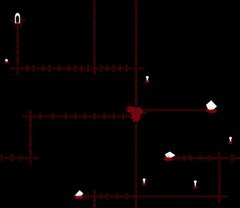 Going through the door that looks like an open mouth, with blood dripping from its teeth, will teleport the player to the Insides. It is impossible to return to this area from the Insides. This area contains a special NPC, the "Candle World Kaibutsu". When Rust visits this world, the Kaibutsu is replaced by an ordinary Fetus. This world might represent all the bones Sabitsuki had broken in the past.